Dr Matthew Hodges took his doctorate at Goldsmiths, where he was subsequently a lecturer and visiting fellow. Prior to coming to Kent, he was based in the Department of Sociology and Philosophy, University of Exeter. Matthew also worked at the Royal Anthropological Institute, and taught creative writing and photography at the University of East Anglia. Dr Matthew Hodges’ research focuses on themes of modernity, social transformation and cultural rupture in rural Western Europe, primarily on the coastal lagoons of Mediterranean France, although he has also conducted long-term fieldwork in Gernika (‘Guernica’) and the Urdaibai Biosphere in the Basque Country. Spurred by the work of E. P. Thompson, John Berger and Paul Strand, among others, he is interested in cultural formations that lie ‘adjacent’ to dominant cultures and economic systems, how these – more or less – successfully resist assimilation, and the implications for rural sustainability and policy. One focus is how ‘indigenous’ communities in rural Europe respond to the impact of globalisation and political economic restructuring, and the commoditisation of their ‘intangible cultural heritage’ by the tourist industry. Matthew argues that key to understanding such developments is the need to develop new, sophisticated ways of conceptualising relations with the past (historicity) and our experience of time (temporality). This research is linked to growing international interest in the anthropology of time and has led to publication in journals such as American Ethnologist and Anthropological Theory, informed by the work of Bergson, Deleuze and Hannah Arendt. Matthew was also a member of the core working group for the ESRC Seminar Series ‘Conflicts in Time: Rethinking Contemporary “Globalisation”’, based at the Department of Anthropology, LSE. Matthew also works on the anthropology of science and technology, exploring the hidden infrastructures that shape rural societies. He conducted research with the ESRC Genomics Network on agricultural biotechnology development at French and Mexican research centres (ORSTOM, IRD and CIMMYT), within the secretive world of corporate ‘gene giants’ Syngenta and Pioneer Hi-Bred, and in the CGIAR system, dissecting corporate influence over public sector research for resource-poor farmers. This research is part of a wider interest in the impact of science and medicine on society. Finally, Matthew has a background in literary writing and a longstanding interest in how anthropology can be communicated to diverse audiences. 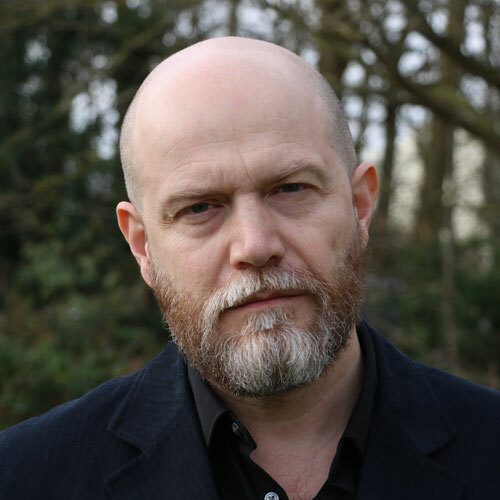 He was previously AHRC Fellow in the Creative and Performing Arts at the acclaimed School of Creative Writing at UEA, where he worked on a public anthropology project, developing literary fiction from his fieldwork in France. Plus courses on anthropological methods; religion, morals and symbolic systems; STS and biotechnology; ethnographic film; philosophical and methodological issues in the social sciences; photography and the arts; creative writing. Dr Hodges welcomes enquiries from prospective PhD students interested in working on any area of Europe, and in particular, France, Euskadi, Spain and the UK. Contact him to discuss your plans. He is happy to consider supervision of fieldwork in other regions, and multi-sited fieldwork, if your interests overlap with these themes: anthropology of history, memory, historical consciousness, heritage; time and temporality; modernity, social transformation, cultural rupture, crisis; tourism; science and technology (including ag-biotech, environmental themes); public anthropology; photography; anthropology and literature. He is also interested in supervising cross-disciplinary research with DICE (see below). Abraham Heinemann (ESRC South-East DTC 1+3 Studentship): Hunting: a multidimensional in-depth comparative study. PhD in Social Anthropology, co-supervised with Dr Joseph Tzanopoulos (DICE). Tony Knight (ESRC South-East DTC Studentship): (Im)possible cohabitation: re-wilding and pastoralism in a contested French mountain ‘wilderness’. PhD in Social Anthropology, co-supervised with Dr Joseph Tzanopoulos (DICE). Oskar Kruger (Vice Chancellor's Research Scholarship): Making wine: towards an ecological anthropology of the good. Co-supervised with Dr Miguel Alexiades and Dr David Henig. Hodges, M. (2017). Becoming Entangled. Anthropology of this Century [Online] 2017. Available at: http://aotcpress.com/articles/entangled/. Hodges, M. (2015). Reinventing History. History and Anthropology [Online] 26:515-527. Available at: http://dx.doi.org/10.1080/02757206.2015.1074901. Hodges, M. (2014). Immanent Anthropology: A Comparative Study of Process in Contemporary France. Journal of the Royal Anthropological Institute [Online] 20:33-51. Available at: http://dx.doi.org/10.1111/1467-9655.12092. This paper presents a comparative critique of the ‘processual temporalities’ which infuse both social-scientific theorizing and selected Western cultural practices. Through study of a public-private partnership which emerged from a biotechnology project devised for producing ‘self-cloning’ maize for resource-poor farmers, I analyse how processual temporalities were central to re-gearing knowledge practices towards market-orientated solutions. In a study of characterizations of the ‘state of flux’ which affects life in a French peri-urban village, I explore how processualism is identified as a component of a metropolitan hegemony which villagers ‘resist’ through idealizing ‘enduring temporalities’ of cultural practice. Drawing on Arendt and Deleuze, I analyse processualism as a dominant contemporary chronotope, mediating and disciplining conflictive temporalities and practices, underwriting economic projects of deterritorialization and restructuring – whose idiom is also prominent in social-scientific paradigms. I substitute an ‘immanent anthropology’, which advocates a non-transcendental ontology of cultural practice and analysis – displacing anthropological analysis onto a polychronic temporal foundation. Hodges, M. (2013). Illuminating Vestige: Amateur Archaeology and the Emergence of Historical Consciousness in Rural France. Comparative Studies in Society and History [Online] 55:474-504. Available at: http://dx.doi.org/10.1017/S0010417513000108. This article provides a historical ethnography of an abrupt and transient awakening of interest in Roman vestige during the 1970s in rural France, and explores its implications for comparative understanding of historical consciousness in Western Europe. Drawing on ethnographic fieldwork in Languedoc, and particularly the commune of Monadières, it details a vogue for collecting pottery shards scattered in a nearby lagoon that developed among local inhabitants. The article frames this as a ritualized “expressive historicity” emergent from political economic restructuring, cultural transformation, and time-space compression. It analyses the catalyzing role of a historian who introduced discursive forms into the commune for symbolizing the shards, drawn from regionalist and socialist historiography, which local people adapted to rearticulate the historicity of lived experience as a novel, hybrid genre of “historical consciousness.” These activities are conceptualized as a “reverse historiography.” Elements of historiographical and archaeological discourses—for example, chronological depth, collation and evaluation of material relics—are reinvented to alternate ends, partly as a subversive “response” to contact with such discourses. The practice emerges as a mediation of distinct ways of apprehending the world at a significant historical juncture. Analysis explores the utility of new anthropological theories of “historicity”—an alternative to the established “historical idiom” for analyzing our relations with the past—which place historiography within the analytical frame, and enable consideration of the temporality of historical experience. Findings suggest that the alterity of popular Western cultural practices for invoking the past would reward further study. Hodges, M. (2012). The Politics of Emergence: Public-Private Partnerships and the Conflictive Timescapes of Apomixis Technology Development. BioSocieties [Online] 7:23-49. Available at: http://www.palgrave-journals.com/biosoc/journal/v7/n1/index.html. How are ‘conflicts in time’ in technoscientific practices effectively theorised from a social scientific perspective? What are the ramifications for critique of the complex relations between ‘public’ and ‘private’ sectors in the global bioeconomy? This article furnishes a case study drawn from frontier research in agricultural biotechnology development, as this field is confronted with the challenges of global food security and climate change. ‘Apomixis’, the capacity of certain plants to ‘self-clone’, would arguably comprise a revolutionary tool for agriculture. Public–private partnerships (PPPs) are a leading template for innovation, yet their hybrid character poses special challenges to stakeholders for the resource-poor. Through historical anthropological study of a PPP incorporating key players from the public sector and seed industry, I analyse the conflictive temporal politics of project planning and management, co-innovation, and frontier research; their impacts on technology development; and highlight implications for production of public goods. The article illustrates how such conflicts are illuminated by a temporal analysis informed by the anthropology of time, science and technology studies, and the philosophy of Deleuze. It presents a theoretical model for wider critique of how significant research and development trajectories go undeveloped or are impeded, which it terms ‘sideshadows’. Hodges, M. (2011). Disciplinary Anthropology? Amateur Ethnography and the Production of 'Heritage' in Rural France. Ethnos: Journal of Anthropology [Online] 76:348-374. Available at: http://dx.doi.org/10.1080/00141844.2011.577228. ‘Amateur’ anthropology and ethnography are utopian categories proposed by anthropologists seeking to critique a perceived culture of ‘professionalism’ within the discipline (Grimshaw & Hart, 1993). Yet they have arguably been practised extensively by local intellectuals oblivious to such debates. In rural Europe, this has often involved ‘pastoral’ conservation of ‘local history’, ‘traditions’ and ‘folk customs’, in the context of identity politics. Recent manifestations, however, have enabled the disciplining of cultural practices of indigenous populations by local entrepreneurs for use in heritage tourism. Building on Foucault's concept of a ‘disciplinary programme’, this paper analyses projects from a French Mediterranean village that have ‘borrowed’ discursive forms from French ethnology and historiography to convert local heritages into disciplined archives and booklets, predominantly for use in tourism. It then analyses their approximation to the discipline of anthropology; assesses their problematic distinction from anthropology's own disciplinary programmes; and explores the implications. Hodges, M. (2010). The Time of the Interval: Historicity, Modernity, and Epoch in Rural France. American Ethnologist [Online] 37:115-131. Available at: http://dx.doi.org/10.1111/j.1548-1425.2009.01245.x. With recognition that historical consciousness, or ‘historicity’, is culturally mediated, comes acknowledgement that periodization of history into epochs is as much a product of cultural practice as a reflection of historical ‘fact’. This article examines popular ‘modernist’ invocations of epoch in rural France – positing traditional pasts against fluid presents with uncertain futures – which are frequently subordinated to analyses of collective memory and identity politics. Submitting this ‘response’ to French modernity to temporal analysis reveals an additional temporal critique in this periodization, that valorizes enduring social time over processual temporalities, with implications for the temporal frameworks and ideology of anthropologists. Hodges, M. (2010). Gigantes y Cabezudos A Glass of Wine. Anthropology and Humanism [Online] 35:125-126. Available at: http://dx.doi.org/10.1111/j.1548-1409.2010.001059.x. Hodges, M. (2009). Disciplining Memory: Heritage Tourism and the Temporalisation of the Built Environment in Rural France. International Journal of Heritage Studies [Online] 15:76-99. Available at: http://dx.doi.org/10.1080/13527250902746112. This article presents an ethnographic case study of the relationship between the development of heritage tourism, and the role of material culture in memory practices in rural Southern France. Drawing on anthropological fieldwork in the village of Monadières, it provides an analysis of how artefacts in the locality’s built environment have been renovated and revalued in a climate of historical change. This was the consequence of varied acts of commemoration by both independent individuals and the local council in which heritage tourism development was not necessarily the end-goal. Nevertheless, these acts were implicated in the council’s ‘disciplinary programme’ to produce a local infrastructure for heritage tourism. The article therefore explores how this industry co-habits with and colonizes modern memory practices at a micro-level. To this end it adapts analytical tools from the anthropology of time, which enable an integrative analysis of these differing ‘temporalizations’ of the past. Hodges, M. (2008). Rethinking Time’s Arrow: Bergson, Deleuze and the Anthropology of Time. Anthropological Theory [Online] 8:399-429. Available at: http://dx.doi.org/10.1177/1463499608096646. Since the early 1970s, time has come to the fore as a constitutive element of social analysis in the guise of what I term here 'fluid time'. Anthropologists of multiple theoretical persuasions now take for granted that social life exists in 'time', 'flow', or 'flux', and this temporal ontology is commonly accepted as a universal, if habitually unquestioned, attribute of human experience. Similarly, it underpins today's dominant paradigm of 'processual' analysis, in its many forms. Yet this concept is notably under-theorized, in keeping with a history of uneven study by social scientists of time. In this article I draw on anthropological approaches by Gell and Munn, and philosophical work by Bergson and Deleuze, to put forward a critical theorization. I then discuss its ramifications. Ultimately, I argue that this model points to a rapprochement between the anthropological study of time and history, sociality and temporality, and an enhanced role for temporal analysis in anthropological theory. Hodges, M. (2002). Time and Modernity in the Mediterranean: A Case Study from Languedoc. Journal of Mediterranean Studies 12:191-221. Hodges, M. (2001). Food, Time and Heritage Tourism in Languedoc, France. History and Anthropology 12:179-212. Hodges, M. (2000). The Sheep from the Goats. Anthropology Today 16:19-22. Hodges, M. (2000). La Veillée. Dialectical Anthropology 25:189-203. Hodges, M. (2019). Disciplining Time: Biotechnology and the Politics of Plants. London: Routledge. Hodges, M. (2017). History's Impasse: Radical Historiography, Leftist Elites, and the Anthropology of Historicism in Southern France. Current Anthropology 60. The ‘historic turn’ marked a new era of convergence between anthropology and history. However, recent research proposes that this anthro-historical field is informed by a latent cultural ‘historicism’. When studying historical consciousness, and deploying history in analysis, theorists argue, we must clarify how historicism—the ideology and practices underpinning ‘Western’ historical understanding—informs anthropological theory, or risk ethnocentrism. Historicist ‘regimes of truth’ also demand anthropological study, given their pervasive influence in the social sciences and wider society. This article develops a comparative ‘anthropology of historicism’, drawing on historical anthropology, and ethnographic fieldwork. First, I analyse the ‘history practices’ of a network of leftist historians, the Forum-Histoire, based at l’Université de Paris VII, and their role in an influential protest movement against the state; secondly, I assess the work of a socialist public historian in his efforts to refashion historical consciousness in Mediterranean France. The article clarifies the role of historicism in French ‘history practices’, and its conflict and synthesis with ‘nonhistoricist’ ways of knowing the past during an influential period (1975-2005) for relations between history and anthropology. In a genealogical vein, this facilitates analysis of anthropology’s relationship to historicism, and indicates how to better deploy historicist analysis within anthropological discourse.